How should I prepare my business for sale? The best advice is that you should try to avoid waking up one morning and deciding that you just can’t do this anymore. This is the worst-case scenario, and it probably means that you are not at your best, and also, and probably more importantly, your business will not be at its best. I like to start my relationship with a business owner when they are having a few initial thoughts about selling their business, how they can best prepare for the sale and what they can do to improve the likelihood of being able to sell and also achieving the best value that they can. Many business owners have no idea what they will do with their business, or how to start making plans for their exit. The key is to have a period of preparation for sale, ideally for a minimum of 3 years before actually taking the business to market. This gives a good period of time to demonstrate that the business is delivering, ideally with sustained growth in sales and profitability. It is also very worthwhile to retain the cash generated from those profits in the business as this will always be a strong indicator of strength and success to a potential buyer. Businesses that are cash generative and not needing an immediate injection of working capital at transfer will always realise a higher multiple. Furthermore, it is also always a good strategy for a business owner to use this period as a time to hand over most or all of their function to the management team. Businesses that have a very ‘hands-on’ owner will always make the buyer nervous as there is a perceived risk to the owners’ exit, which will, therefore, reduce the potential value. Other areas that will help and add value will include looking after your staff. A happy and established workforce, with a low turnover rate, will again give comfort, and having consistent contracts of employment is a must. Recurring revenue is also a very good driver for value, and so having clients held on contracts that can predict a level of revenue going forward will also be a huge benefit, as will the quality of the customer service experience, which will ultimately sway the client to stay when it comes to renewal. However, debtors should always be managed well and under control as part of the general housekeeping. All of this may seem very obvious, but sometimes it is hard to see the trees when you are so immersed in the woods. 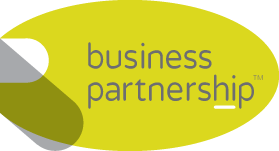 Business Partnership are here to help you through the process, from the initial consultation and planning, through the preparation process, and ultimately through to taking your business to market and securing a buyer at the best achievable value. We are with you every step of the way and based in an office that is local to you so that we can actually be ‘with you’ throughout the whole process.